Ok, so those aren't the mountains that we are headed to but isn't that a cool shot? 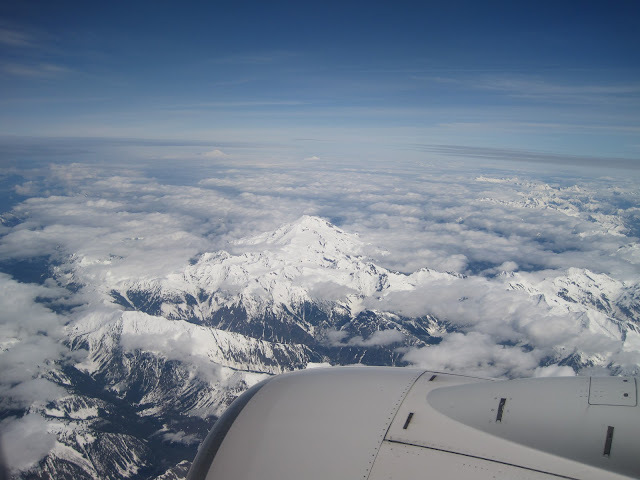 It's from a few years back on our way to Seattle. Vacation could not have come soon enough! I'm a little nervous about the flight and then drive to Snowmass with the babe in tow but I think he'll be a trouper. Fingers crossed! We've been packing, moving, and stressing pretty much nonstop these last few weeks so I'm more than excited to take off! We will be spending the next few days up in the mountains of Colorado. I'm so excited to check out the places that you all recommended, swim, eat, and relax. And of course, celebrate the wedding of some pretty awesome friends! There's just something about airplanes that makes me excited, even when I just see them flying overhead. It's the allure of the destination, the promise of a new adventure, the dream of sunshine. Wave when you see us fly over today, we'll see you soon Cleveland.